LVB-LVBD (Low Visibility plate and Low Visibility double plate) is the ideal solution for historic and cultural buildings: it can be installed right under the ridge in order to ensure an almost full invisibility after the installation. 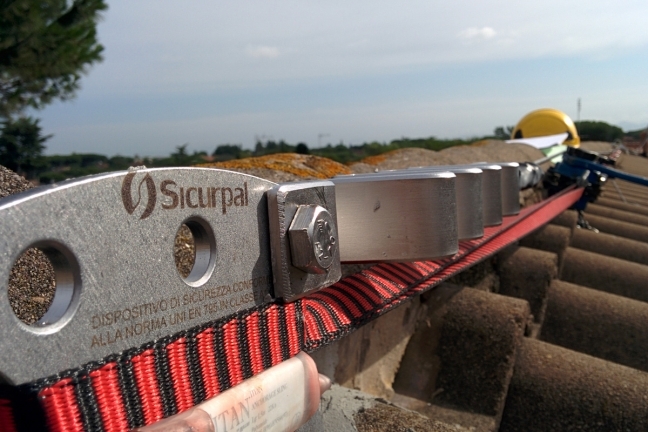 In compliance with EN 795 Type C, this deformable lifeline significantly reduces fall forces in order to safeguard both the worker (decreasing strenghts on the falling body) and the roof structure, minimising the force generated on the fixings. The special variation LVBD, thanks to its double-sided plate, allows working on both gables connected to a single anchor point.